Video Learning – Watch two- to five-minute video segments on social and emotional themes including motivation, attendance, bullying prevention, drug and alcohol prevention, and more. Supporting Resources – Lesson plans, activities, discussion questions and tips for parents can be downloaded and printed. Video Learning – Stream video on effective, appropriate parent involvement, including information on ways to motivate students, teach character development skills, spot high-risk behaviors and more. Supporting Resources – Download family viewing guides, tip sheets for parents, discussion questions and more. Professional Development – Video-based learning modules for counselors, teachers, parent coordinators and administrative staff provide updates on the latest research, implementation strategies and best practices. 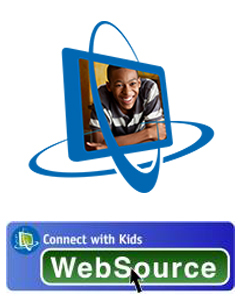 Go to http://pcssd.connectwithkids.com/registration/ or click the link below to create your new account. When asked for School/Organization Name, enter "PCSSD2013"
When asked for Organization Code, enter "PCSSD2013"